Distill hard liquor and ignite the alcohol vapors! 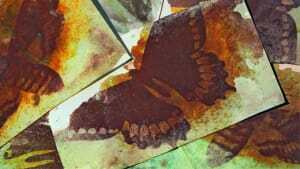 This experiment is included into "Alchemy" kit along with "Transmutation". Subscribe and get everything you need to do this experiments at home. Keep a bowl of water nearby during the experiment. 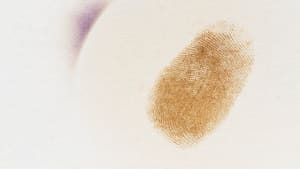 Perform this experiment without gloves. My plastic bottle is bigger (or smaller) than the size indicated in the instructions. Can I use it? It’s best to find the exact size you need if you want the experiment to go well. You can always repeat the experiment afterwards with a different bottle and compare your results. Why is it so important that the rubber stopper, metal cylinder, and tubing be securely connected? This is necessary to keep the hot alcohol vapor contained. 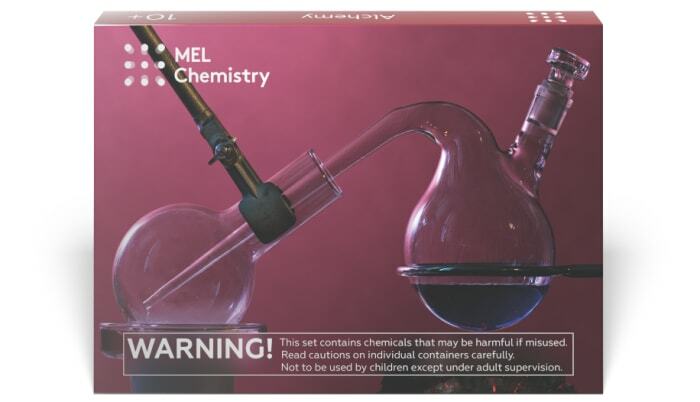 Otherwise, you won’t be able to condense the alcohol vapor in the vial. The tubing is only loosely touching the stopper. 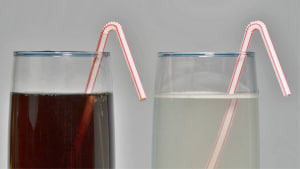 If you haven't started the distillation process, simply disconnect the tubing and use scissors to trim the uneven edges. The tubing must fit the metal cylinder snugly and be touching the rubber stopper. If you notice this problem during the process, first extinguish the candles and allow the setup to cool (20-30 minutes), then disconnect the tubing and use scissors to trim the uneven edges. The plastic test tube floats when I fill the beaker with cold water. That's exactly how it should be. The test tube will sink slightly when you put the tubing in it. This is enough to cool the vapors and allow them to condense. I have been waiting for an hour, but there’s still no liquid in the test tube. 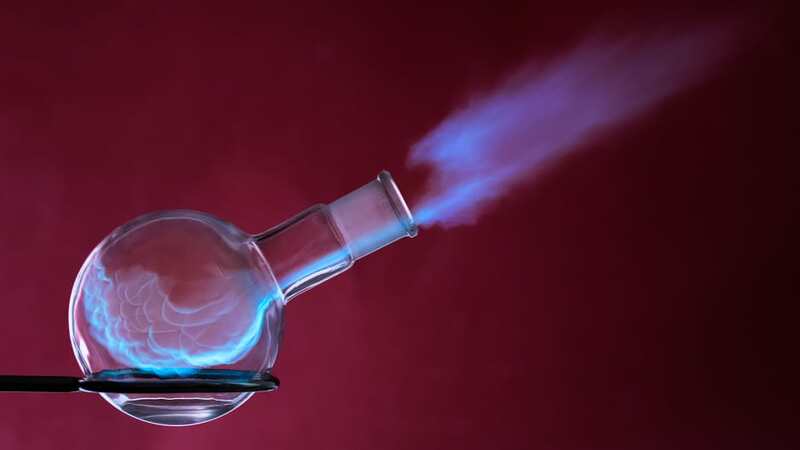 Intense heat is needed to successfully distill a substance. If your drink was cold, that will make the process take longer. Make sure that all the candles are lit and there is no draft. If you’ve accounted for all of the above, add some ice to the beaker holding the test tube. Some liquid was sucked back into the flask. Why? 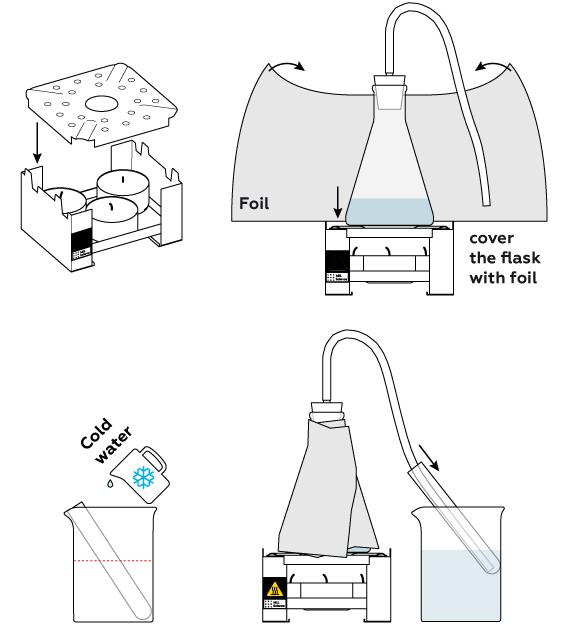 When heated, the volume of the air in the flask increases. However, when you extinguish the candles, the air in the flask contracts, and the pressure drops. As a result, the liquid is sucked back into the flask to equalize the pressure in the system. 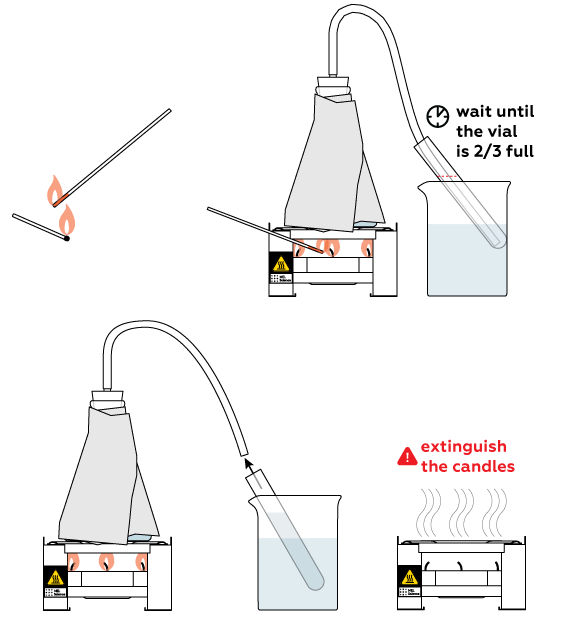 This can also happen if you remove the tubing from the test tube and place it directly in the beaker of water before extinguishing the candles – some water will be sucked back into the flask. 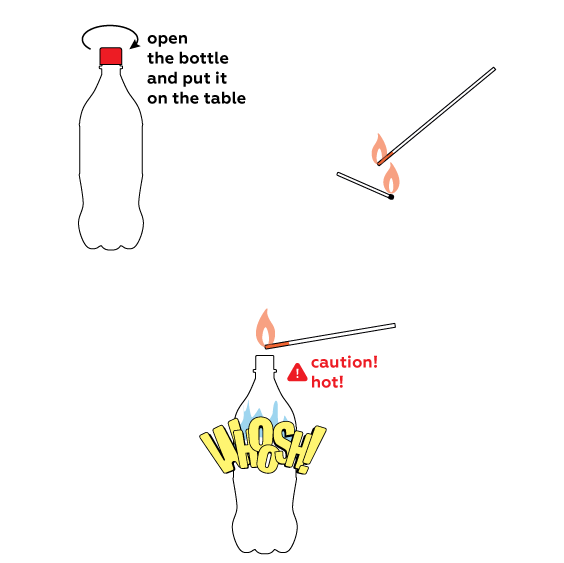 What should I do if the alcohol vapors in the bottle don’t catch fire? 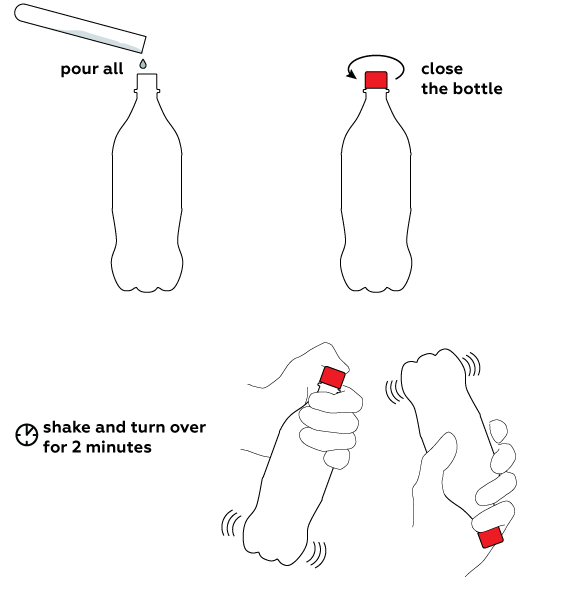 In this case, try shaking the bottle vigorously or holding the burning splint closer to the bottle neck. To conduct the experiment, you'll need a clean plastic bottle. 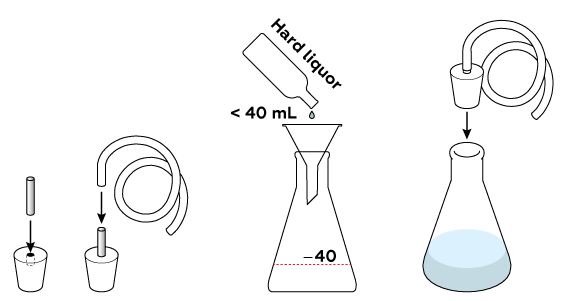 Hard liquor contains some ethanol, which we are going to distill in this experiment. When heated, ethanol evaporates much faster than water. 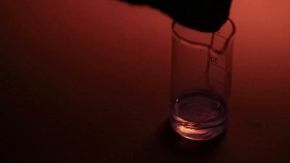 The ethanol vapor cools down in the vial, producing almost pure liquid ethanol. 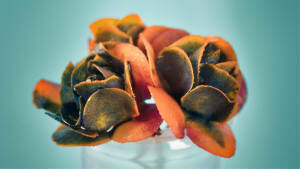 In fact, ethanol readily produces ethanol vapor even at room temperature. When the ethanol vapor is mixed with air, it produces a spectacular flame! Dispose of solid waste along with household garbage. Pour solutions down the sink. Wash with an excess of water. What drinks are suitable for this experiment? Alcoholic drinks with a 40–60 % alcohol content are best. This includes vodka, whiskey, and rum. Alcoholic drinks with an alcohol content of more than 60 % are not suitable. Why do we heat the alcohol in the flask? Alcoholic drinks consist almost entirely of ethyl alcohol and water. The two liquids boil at vastly different temperatures: water boils at 100 oC (212 oF) and ethanol at 78 oC (~172 oF). Ethanol therefore starts boiling and evaporating earlier than water. The ethanol vapors rise up into the tube and continue into the test tube. The test tube is then placed in water, which is much cooler than the ethanol vapor. This causes the ethanol vapors to condense and collect at the bottom of the test tube. This condensation is almost pure ethanol (approximately 96 %). Chemists call this process “distillation.” It is widely used to purify substances (as in our experiment) and to separate mixtures. Why do we shake the bottle? Why do we hear the “whoosh” sound? When the ethanol vapors burn, they leave some empty space in the bottle. Air rushes into the bottle to fill this space, and this movement of air produces the characteristic “whoosh” sound. What happens when we close the bottle after the “whoosh” sound? The air in the bottle after the “whoosh” is rather hot. We close the bottle and wait for the air to cool. Cool air takes up less space than hot air. As a result of the temperature decrease, the pressure inside the bottle decreases as well. It is the decrease in pressure that causes the bottle to crumple.